The government is planning a new national SCITT for computing, despite other subject-specific training centres failing to hit recruitment targets. The Department for Education is looking for organisations to run a “national computing school-centred initial teacher training” (SCITT) programme to “ultimately design a unique and high-quality school-led offer in this priority subject”. But other subject-specific SCITTs set up for maths and physics, and languages have failed to recruit their target number of trainees. An initial teacher training (ITT) expert has warned against “piecemeal” recruitment and demanded a national agency, rather than schools, be given responsibility for shortage subjects. James Noble-Rogers, the executive director of the Universities Council for the Education of Teachers, said existing ITT providers were “already struggling to recruit”. If the new computing SCITT “simply attracts trainees who would otherwise have gone elsewhere […] there will be no net increase in teacher numbers”, he warned. The Department for Education wants providers with “national reach” for its computing SCITT, which would work in partnership with others across the sector. The centre would start recruitment in the autumn before delivering training from next year. A DfE procurement notice said its national SCITTS were “intended they deliver at a larger scale than most SCITTs”. A “super-SCITT” for modern foreign languages was announced two years ago, to be based at Silverdale School in Sheffield and backed by Sheffield Hallam University. Thirty-five trainees are on roll this year, well below the target of 50. At the national maths and physics SCITT, led by Wycombe High School in Buckinghamshire, just 13 trainees are on roll. The target was 40 for 2018-19. However, applications to each SCITT have risen for the programmes starting this September. This time last year just seven MFL trainees had accepted places, but 26 have already accepted places for next year, with another 14 waiting for interviews. 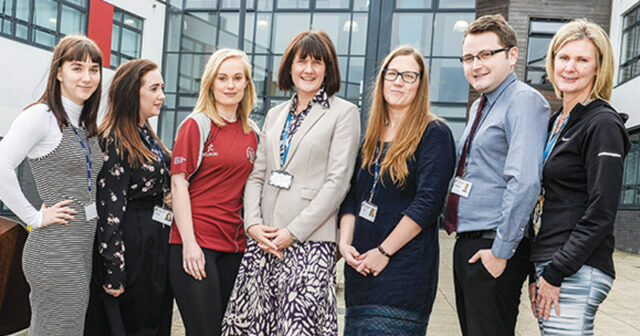 Sarah Yarwood, the director of the maths and physics SCITT, said 21 offers had been made for next year, meaning trainee numbers “will be able to double, if not triple” for 2019-20. Yet despite their efforts, provisional ITT data shows recruitment in these three subjects worsened this year. Recruitment for teacher trainees for computing improved from 66 per cent in 2017-18 to 73 per cent this year, but the government is concerned about low uptake of its new computer science GCSE and wants more trainees to deliver it. John Howson, a veteran ITT expert and the founder of the jobs website TeachVac, said: “We need an agency big enough to have an impact on the numbers”, rather than individual schools with patchy geographic coverage. But the existing national SCITTs defended their impact, saying they were able to dedicate more time to subject teaching. The MFL SCITT said it had a broad geographical reach, with 45 partner schools in its five regional hubs of Sheffield, London, Bolton in Greater Manchester, Abingdon in Oxfordshire and Oundle in Northamptonshire. Meanwhile trainees on the maths and physics SCITT would become “really proficient subject specialists rather than generalists”, which would help with retention, Yarwood said. Schools Week asked the DfE how it measured the success of the subject-specific SCITTs, but did not receive a clear response. A spokesperson said an update on their progress would be provided in due course.